Check out this free sample from my “Halloween craft activity, vocabulary and speaking game”. The kids color their own Halloween flags and decorate the classroom. 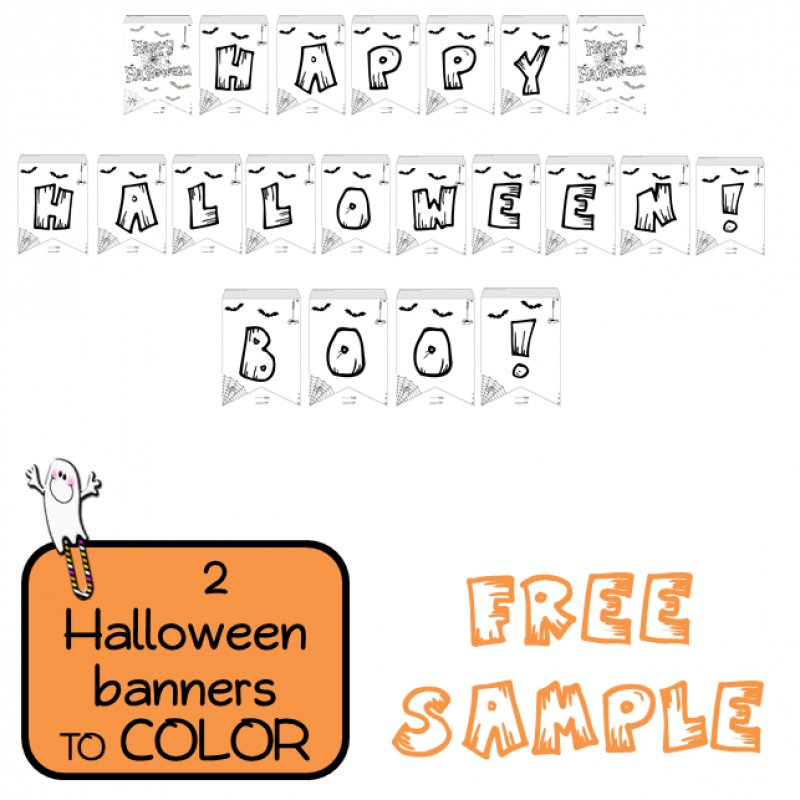 The entire packet includes 75 flags to color and the Halloween “What am I ?” game. Just copy and you are ready to boo! Star wars - themed Advent Calendar. Fill the boxes with coloring pages, small gifts, candies, puz.. Here's the new 2018-2019 monthly calendar for Harry Potter fans ! From July 2018 to December 20..
10 posters de classe inspirés d'Harry Potter - Tables de multiplication 10 p..
12 posters de classe inspirés d'Harry Potter - Tables de multiplication 12 pages (tabl..